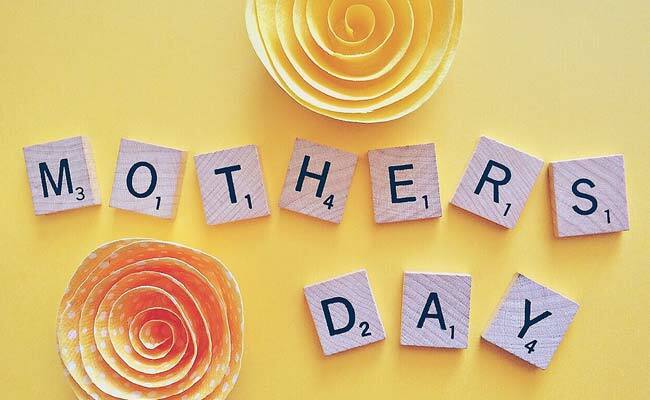 We’re celebrating Mother’s Day by recognizing a few of the incredible women who have contributed to ELGL. I knew I would come back to work. I didn’t want to stay home. Not because I didn’t love my baby but because I really like my local government career. Stacy Schweikhart, community information manager with the city of Kettering, recently claimed a prestigious award. Schweikhart received a Route Fifty Navigator Award for her role in a nationwide data collection team created to build a database on diversity in local government leadership. But dinner conversations aren’t always kid-friendly, they admit. Sometimes Eleanor or Josephine will offhandedly say “budget” or “ELGL,” Kent said. The Wyatts hope that by making the future better for women, they’re helping out their daughters in the long run. Laura O’ Sullivan and Samantha Harkins talk about balancing their chief of staff position with raising a family. I believe this is a true barrier for getting more women in the top job in a city. Women continue to be discriminated against in the interview/hiring process. I can guarantee you that many female city manager candidates have experienced similar situations during the interviewing phase (and are nodding right now). I don’t have the magic pill to fix this, but I think two things need to occur. The first real change will have to come from elected officials who won’t allow this under-the-table selective screening to occur and who will also hold the contracted recruitment firm accountable to bring in a diverse set of candidates for consideration. As a woman, you are then potentially also balancing the competing demands of a being a spouse and a mother, being a caregiver, a homemaker, a taxi to children’s activities, and a friend. As a human, you also have to find time to take care of yourself, to eat, to workout, to sleep, to socialize, to network. It is utterly exhausting. Promote local government as a family-friendly profession. This should include resources for current managers like training, webinars, and draft policy; and resources and networking opportunities for working parents. My alma mater has a cheer that goes: “Fight like hell damnit, and win!” I love that cheer. It’s so satisfying to yell it from my seat. It makes me feel like I’ve really done something; like I’ve personally lit a fire under my team to go out and slay our opponent. It’s so energizing to me that I’ve adopted it as a slogan in my own personal campaign to beat the 13 percent. This week’s episode of GovLove features two glass shattering police chiefs – women who are the first to serve in the police chief capacity in their cities. Chief Denise Turner leads the Gilroy, California Police Department. Chief Jeri Williams leads the Oxnard, California Police Department. This episode will make you laugh, will make you think, and will make you want to work for these two remarkable and inspiring chiefs. The reality is that we have areas of our life that don’t get as much attention as we both would like. The area that could use much more time and attention is our health and wellness. Over the last year, we have made this a goal and continue to strive to squeeze 30 minutes of exercise three to four times a week. In addition, a healthy amount of sleep is a goal for us. We buy into all the studies that call for 7-8 hours of sleep (we’re both pretty cranky when we don’t get enough sleep); however, this is extremely difficult to achieve. When we need to trade-off how we spend our time, frankly, we take it from exercise and sleep. I do not remember too many perks associated with my mom’s job. No fire engine rides or parades like a few others have mentioned (I’ll need to follow up with her now on why that was). The best part was just growing up around other local government folks. The field attracts friendly, interesting, and smart people. That was our circle of friends, which was a great environment to grow up in. Leah and Gabe discuss the intersection of their personal and professional lives. We learn during the podcast that Gabe will be adding a new addition to his family. With that, Leah provides insight into how she raised four children while maintaining a professional career.